The AERO-Trans SeriesTM provides AC Voltage conversion from 50 to 5000VA. 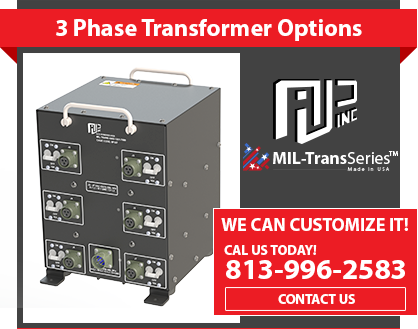 AJ’s Power Source Inc. is pleased to announce the release of our new Aerospace Power Transformer Systems. 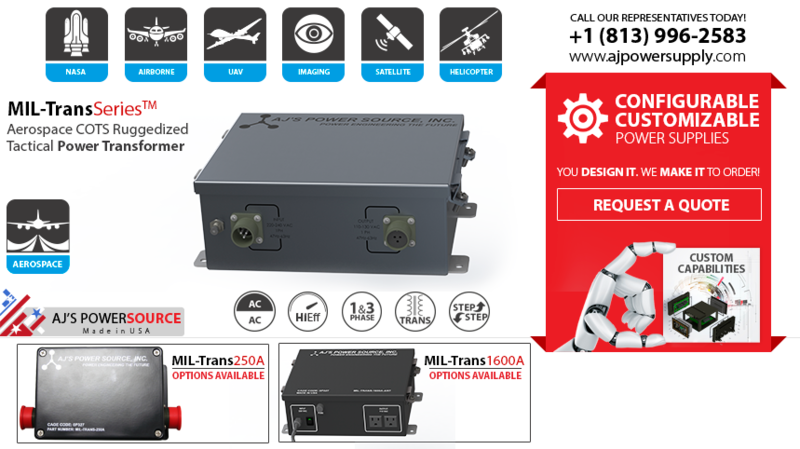 AERO-Trans SeriesTM is a Ruggedized COTS Aerospace Compliant Transformer System Built for deployment and operations equipment. This unit is available to all the Aerospace Industry, homeland security and government contractors. Light weight auto transformer built for reliability, this fully Ruggedized system is ready for world wide deployment. The AERO-Trans SeriesTM provides AC Voltage conversion from 50 to 5000VA. These systems have internal surge suppression and wide temperature ranges. This unit is built with 120 thousandths aluminum walls and mounts. The system has a high end, built in breaker that is externally resettable. Aerospace Rugged Tactical Power Transformer Built for Harsh Environments Ready for World Wide Deployment.